Time was when most railway companies identified their major civil engineering structures with cast iron number plates, rather than just painted numbers. Some still survive, although the railwayana market ensures that a lot go missing (legitimately or otherwise!). 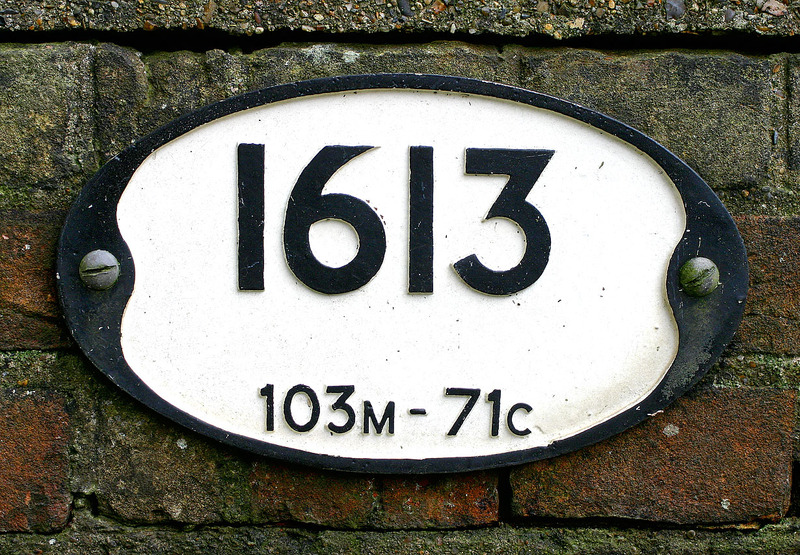 Bridge 1613 at Eccles Heath (near Attleborough) has a modern replacement cast plate in the old style (with mileage). Pictured on 27 November 2006.